Sam Steingard is an 18-year-old from Germantown, Maryland. 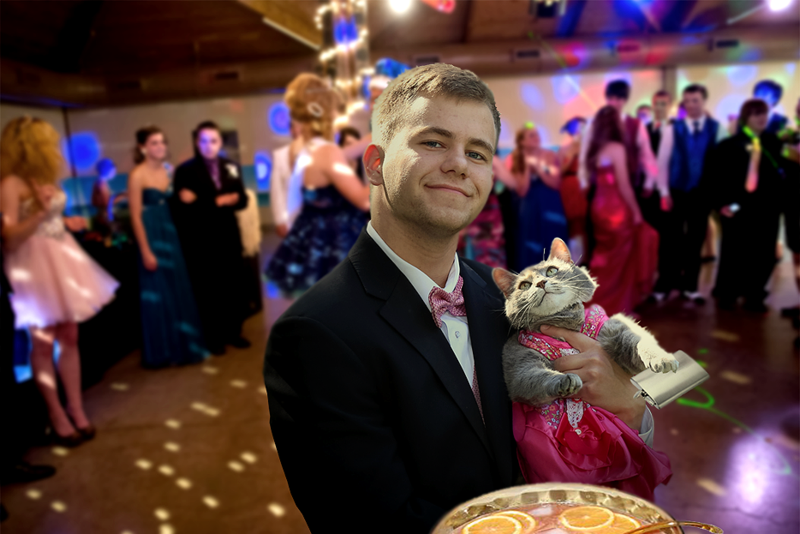 Last summer, like most high school seniors, Steingard attended his prom. 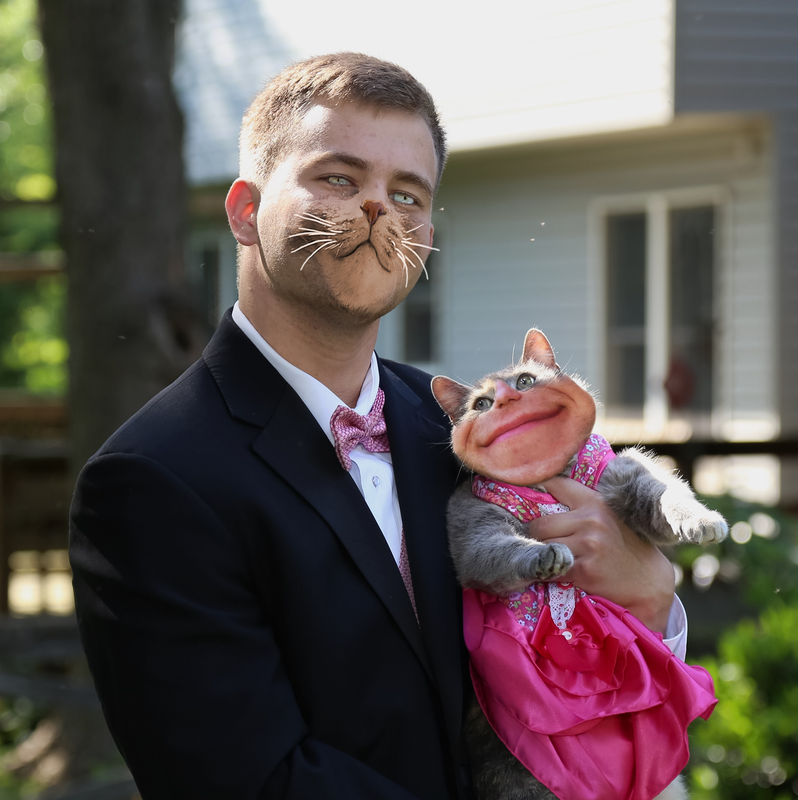 However, he decided to make his prom photos extra special by posing with his date — his cat, Ruby. Steingard says that he chose Ruby as his date because he didn't plan on staying long at the event. Unfortunately, he was unable to take Ruby to the actual event. Steingard's sister shared the adorable photo to Imgur on Monday. It has since inspired a Photoshop battle. Fans of Ruby and Steingard will be happy to know that their friendship has continued after high school. Fans of Ruby can find more photos of her here.